Automatic Timer - Controller with 30 Minute Automatic Shut-off Timer for safety. Hook & Loop Strap - The Adjustable Hook & Loop Strap provides more comfort and freedom of movement while enjoying the warmth of the wrap. Flexible Heating Panel - The Flexible Heating Panel allows comfort and warmth. Neck Wrap, One Size Fits Most - SHIPS FREE! Neck pain can put a damper on even the simplest of tasks, like turning your head. So if you are ready to relax without the constant reminder of neck pain, Venture Heat has the solution you have been waiting for. The neck area can also tend to cramp up and feel tight far too often, but by using the heating neck pad, you will feel loose and relaxed. 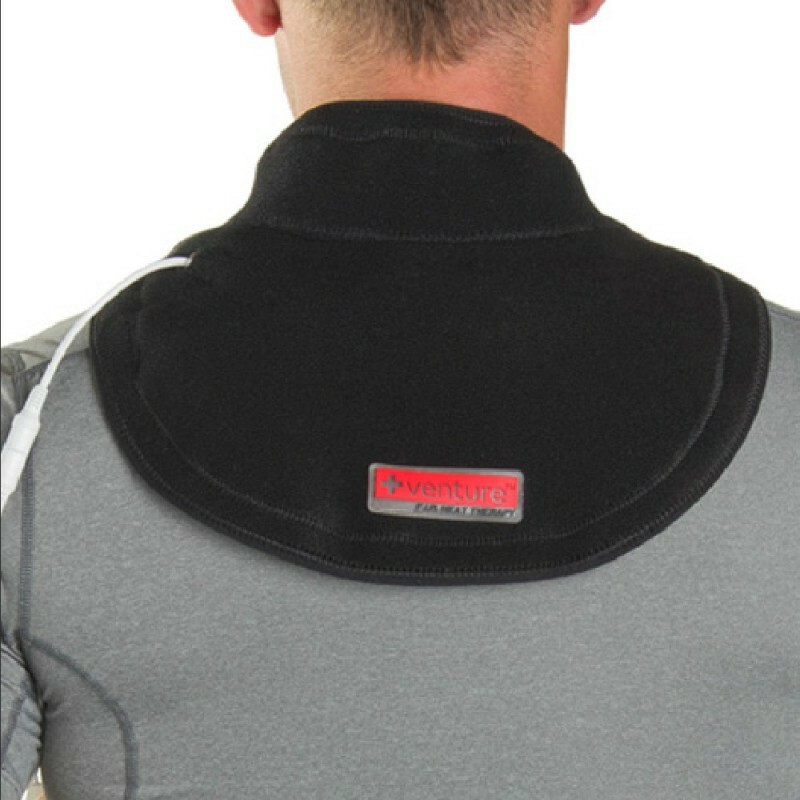 Utilizing the power of Far Infrared Rays (FIR), the Heated Neck Wrap fits comfortably around the neck area and provides deep penetrating heat to soothe aching muscles to relieve you of neck and upper shoulders of pain. This lightweight wrap safely delivers low voltage heat for at-home therapy without the use of potentially harmful medications. Adjustable Hook & Loop Strap - The Adjustable Hook & Loop Strap provides more comfort and freedom of movment while enjoying the warmth of the wrap.